Here is a list of items that are easy to farm even for lower leveled players that will give you a boost in zenys. Not all of us can farm MVPs and high leveled mobs. Dead Branch – Sells for 60,000z on average and drops from Elder Willow. Maneater Blossom – Sells for 2,600z on average and drops at almost 100% from most plant monsters like Geographers & Floras. If you have a rogue, you can steal and get doubles. Stem – Sells for 2,000z on average and are extremely easy to find even at level 30, you can rack up a lot of these. They drop in the map one map north of Geffen. If you have a rogue, you can get double per kill! Creamy Card – Sells for 8,000,000z on average. WOW! Creamy is easy to kill and they are plentiful! Archer Skeleton Card – Sells for 20,000,000. A whopping 20 mil. They are also fairly easy to kill and also drops other bows and Apple of Archer. Smokie Card – Sells for 8,000,000 and are easy to kill. Phen Card – Sells for 20,000,000 and are easy to kill. Invest in a Mimic card and get a chance to get Old Blue Boxes that sell for 70,000z on average. You can also get a Myst Case card for additional gift boxes that can sell or be opened for items to be sold. 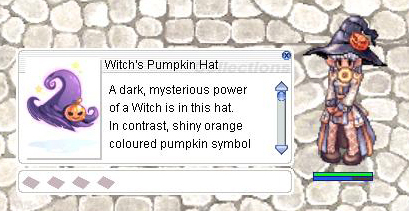 A Witch Pumpkin Hat can get expensive but is a good investment in making additional zeny. It gives you a chance of getting pumpkin pies which can be sold. There are a lot of other items that sell for a lot and are fairly easy to get. Go on ragial and do some research! Here is a simple guide to help you get started with making more zeny without farming things. We all hate farming! However, this guide requires you to have some zeny and a merchant to begin with. 1. Go on ragial. Just about the best website for any iRO player. 2. Click on where it says cheap. 3. You will now see a bunch of items that are sold at %’s lower than they usually sell for. Look for the items that are 60% – 25% cheaper. 4. BEFORE you buy anything, do a little research and search that item up on ragial. See if there are other people selling the same item and how much they’re being sold for on average. Ragial has been useful to me in many cases for buying and selling. Aside from the genetic, the Sura is one of the best ways to solo MVP and get tons of money. Here is a great guide to help you to get started. If you don’t have a Sura or struggling to level one, use this guide here. This build is based on Guillotine Fist and works great for hunting MVPs. You will want to have a lot of slim/condensed white potions and strawberries. Slim/Condensed because white potions can get quite heavy. Any remaining stats can be used towards int/vit. Brynhild – Only if you have zeny for one. Variant Shoes – Do not upgrade these at all. Will lose HP/SP by upgrades.